Welcome to the State College YMCA pickleball page. Please check back often for schedule changes, alerts and upcoming events. The YMCA offers outdoor pickleball in their inline hockey rink. Bo and co. has 3 painted pickleball courts on the rink surface that are open to usage by members of the YMCA, unless there are previously scheduled programs or events. Rink is open year round, weather permitting. These hours are often different than the indoor schedule. During the nicer months there will be a schedule posted here. For non-summer hours, contact Josh. The YMCA provides nets, paddles & balls. Whenever purchasing personal supplies, check out PickleballCentral.com and use our club code of CRSTATE to get a 5% discount. Contact number is (888)854-0163. Thank you ProLite & Pickleball Central for letting us demo your new ProLite Chrome paddle. The Pro Lite Chrome has the tear drop shape and I was pleased how easily I adjusted to the different shape. Very responsive when blocking shots, dinking and great pop for overhead smashes. Control and placement improved with the Pro Lite Chrome when playing very competitive matches. Two of my fellow players used the paddle during our weekly shootouts and both players had the same positive reaction to this paddle. Both players felt the sweet spot was easy to locate and unforced errors were cut down significantly. Overall I would give this paddle a five star rating. Ideal for players looking for a mid weight paddle for power play while not sacrificing the short game. 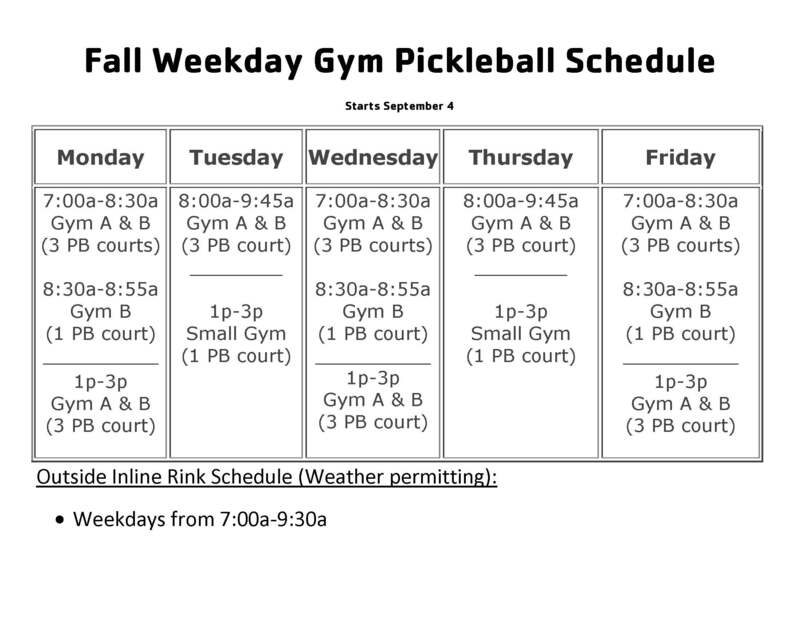 During SCASD Inservice Days (also snow days), PM Pickleball location and schedule may change. The YMCA may change the pickleball schedule for other YMCA programs or special activities at anytime during the year. 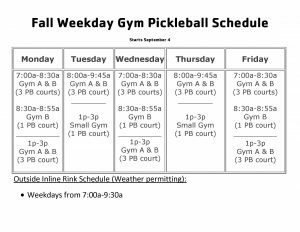 Indoor pickleball may only be played during the reserved times listed below. Non-reserved play times are not permitted indoors. NOTE BEGINNERS: Instruction can be done any weekday, not weekends. Questions? Contact Josh at [email protected].